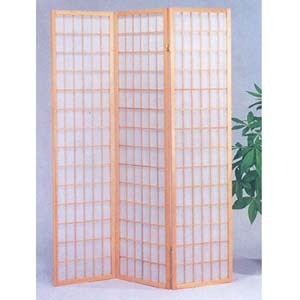 3-Panel Natural Finish Wooden Screen. 18 In. x 3 In. x 71 In. High.